Never celebrated this momentus occasion before? Me neither! I’m a sucker for celebrating holidays though. I started freezing meals when my daughter Cameran was a baby and I wanted to save time and stress around the holidays. Before my second daughter Isla was born, I prepped and froze two week’s worth of dinners. It was amazing to have homemade meals on-hand while I was recovering and bonding with the newest member of my family. My recipes are so easy that anyone can make them. No fancy kitchen tools, exotic ingredients, or previous cooking experience required. 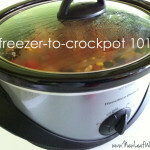 Just check out some of the easy recipes I’ve posted on this blog before: Slow Cooker Turkey Black Bean Chili and Slow Cooker Sweet & Spicy BBQ Chicken. My daughter Isla is 19 months old now and I still make freezer meals for busy nights when I don’t have the time or energy to cook. 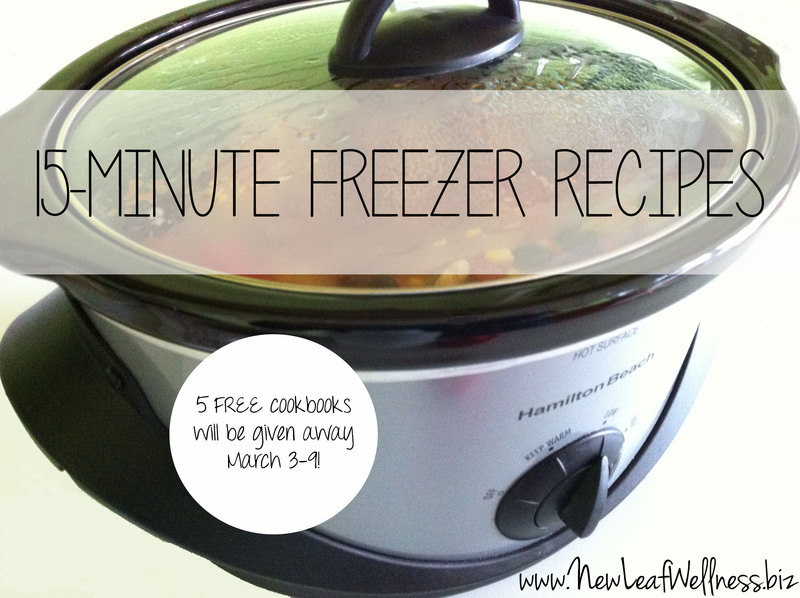 There simply isn’t anything faster than dumping a freezer meal into your slow cooker in the morning. Plus I love coming home at the end of a busy day to a house that smells like a homemade meal has been simmering in my slow cooker all day. I love sharing my easy, healthy recipes with my private coaching clients and my best friends. 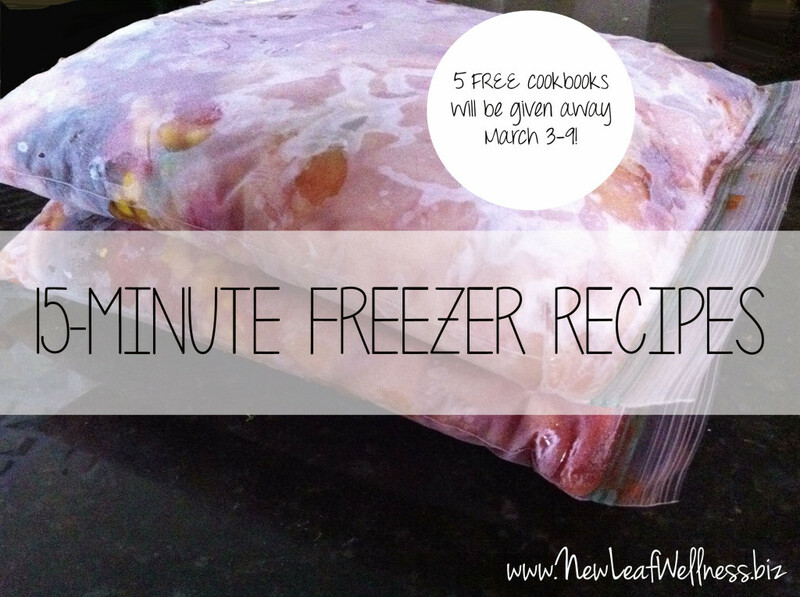 In a previous blog post, I shared my best freezer tips for beginners. Now is your chance to win a free copy of my cookbook and my very best freezer meal recipes. 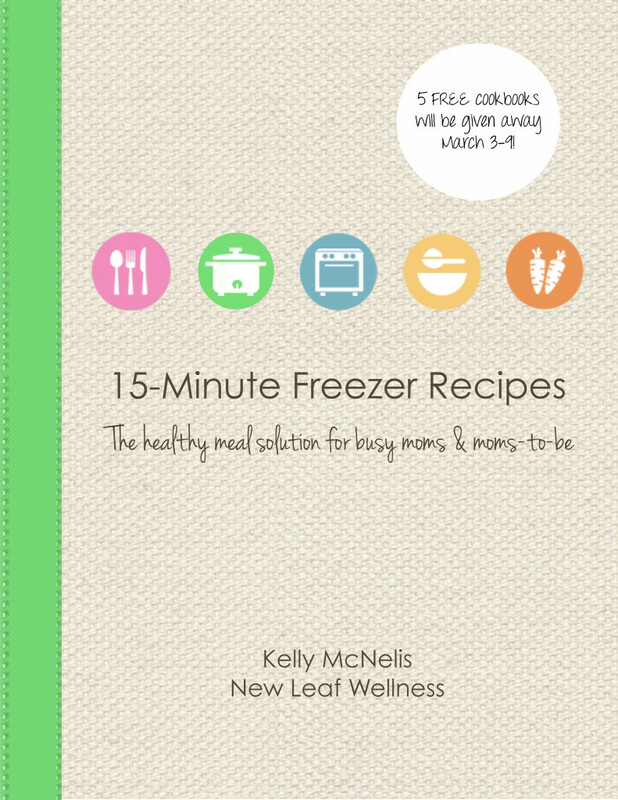 If you already have a copy – or simply aren’t into freezer meals – this cookbook would make a super cute gift for a pregnant friend. I will pick FIVE cookbook winners on Saturday, March 9, 2013! Open to U.S. Residents only. 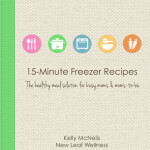 If you don’t want to wait that long, you can purchase ‘15-Minute Freezer Recipes‘ as an e-cookbook ($5.99) or printed cookbook ($8.99) today. Leave a comment below sharing how you plan meals in advance (or don’t)! GIVEAWAY CLOSED. Winners chosen 3/9/13: Leah, Danielle, Karis, Jana, and Cheree. Congrats, Ladies! I don't normally cook. However, you make your meals look so easy and delicious that even I could make them. I didn't know there was a National Frozen Food Day. Thanks for being so thoughtful. 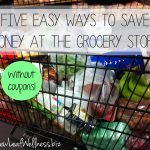 I really need to figure out how to grocery shop for two weeks at a time! I try so hard to plan our meals in advance! I am a full time student and mom to a toddler. My husband is active duty military so he works crazy hours. 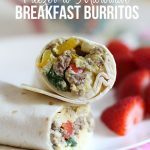 There are more nights than not where we have breakfast for dinner! 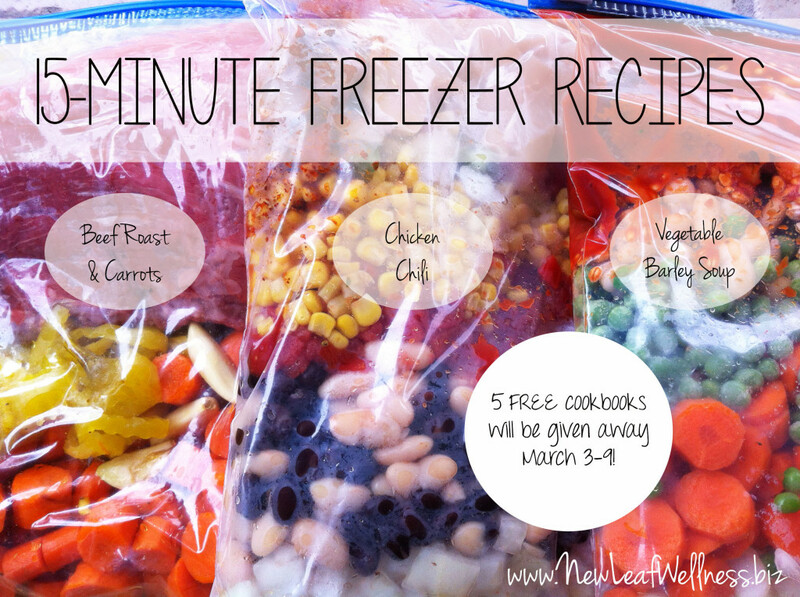 I would love to have a guide to planning freezer meals! I'm excited to start trying to make some freezer meals. I'm making the beef fajitas today for the swap. I would love to win a copy of your book to try some of your recipes! I soooo wanna win this!! !